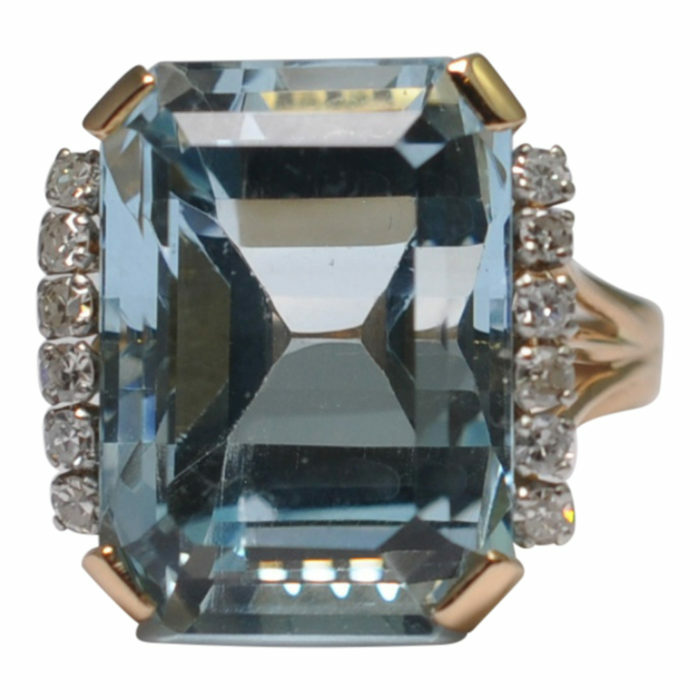 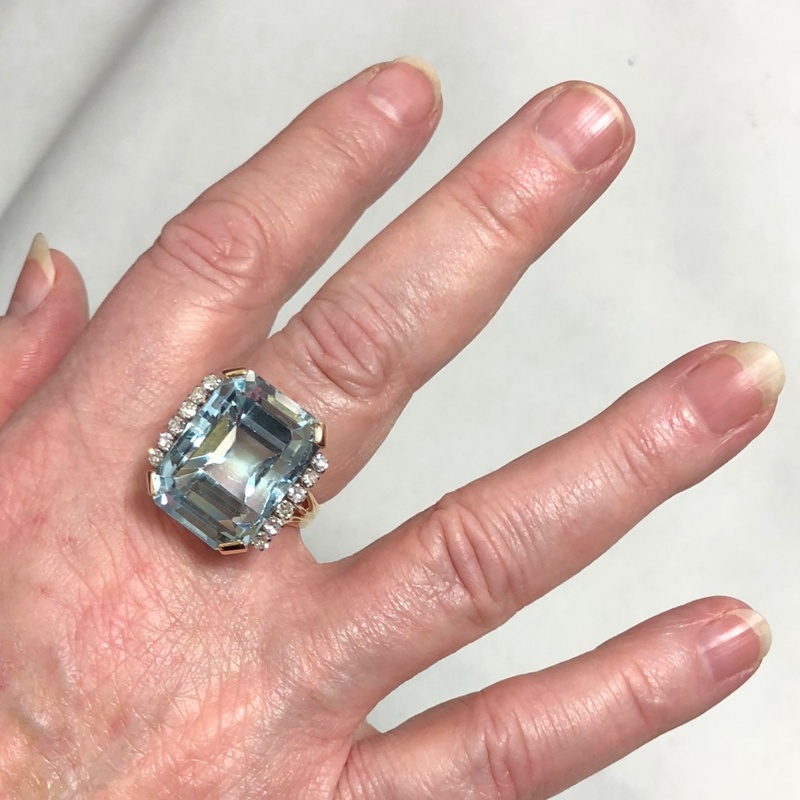 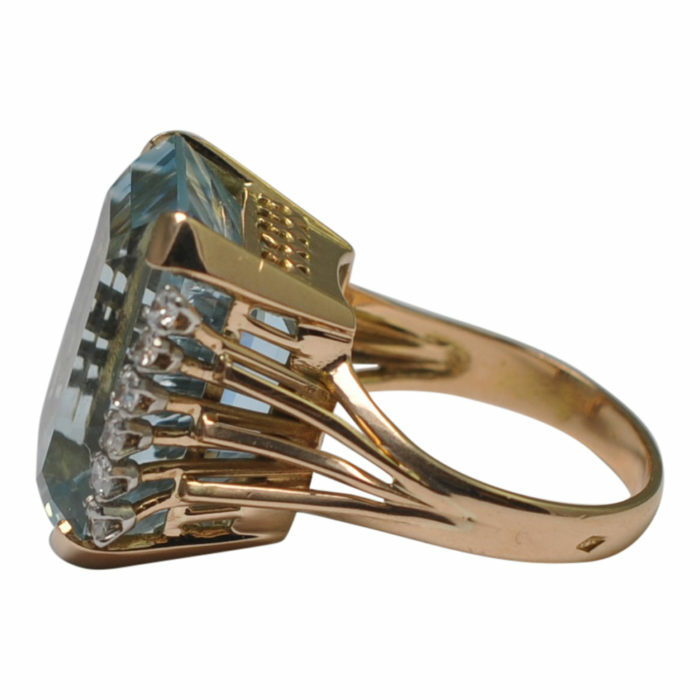 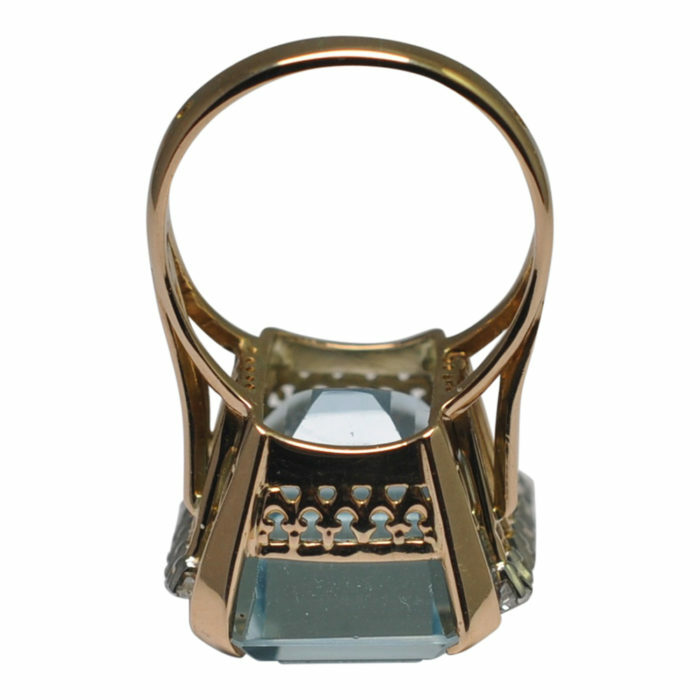 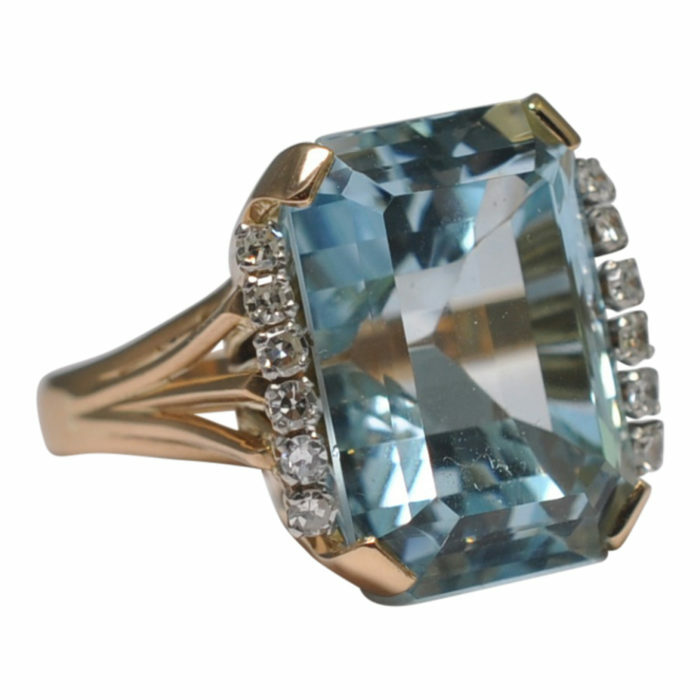 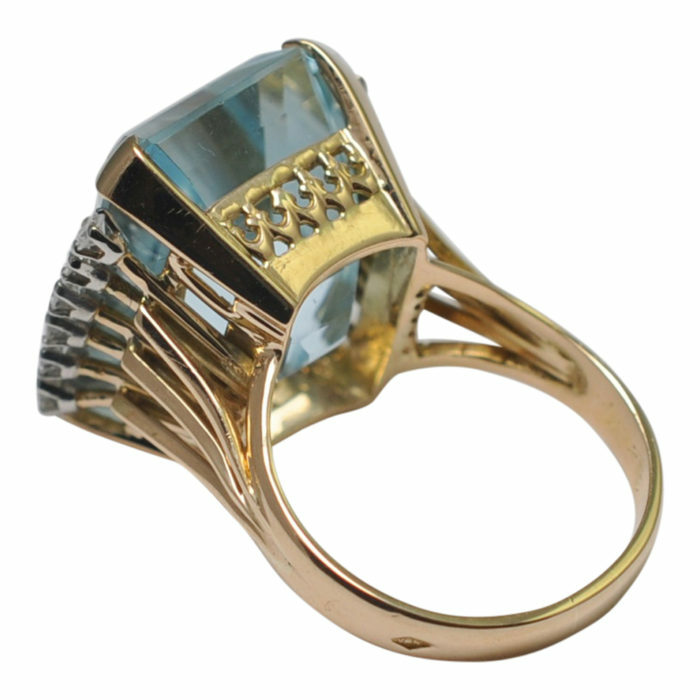 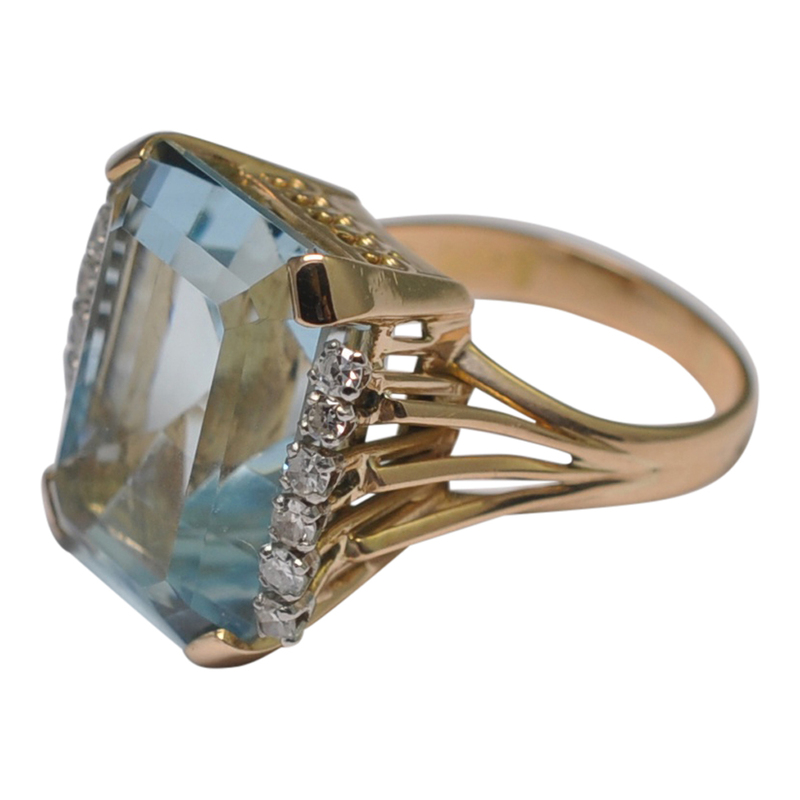 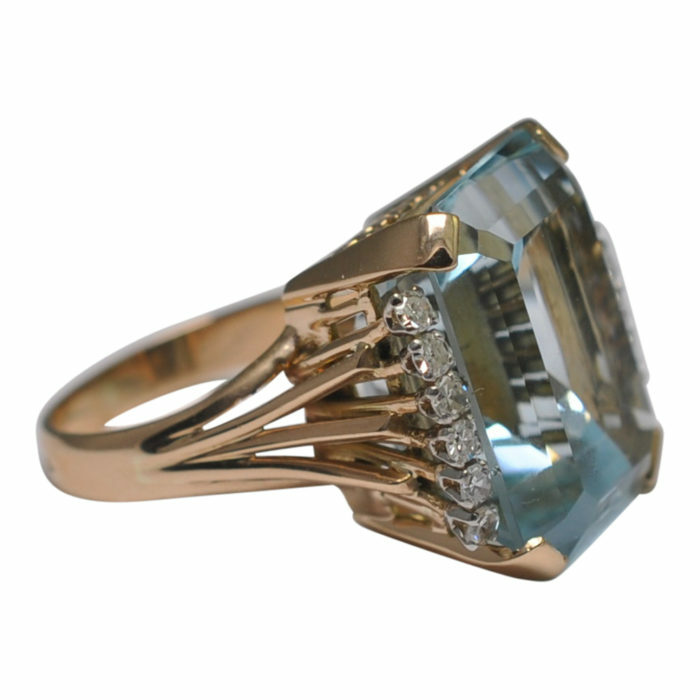 Retro aquamarine and diamond French cocktail ring in 18ct gold by Marcel André; this super stylish, chunky aquamarine is step cut and weighs 25.55cts. 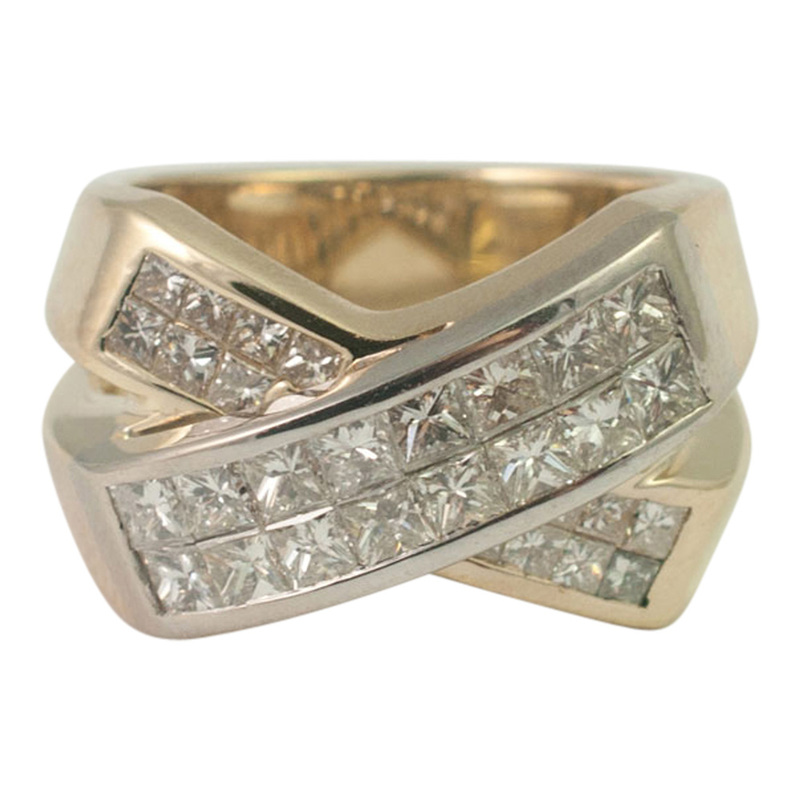 It is flanked by 5 Single Cut diamonds on each side, with a total weight of 0.50ct. 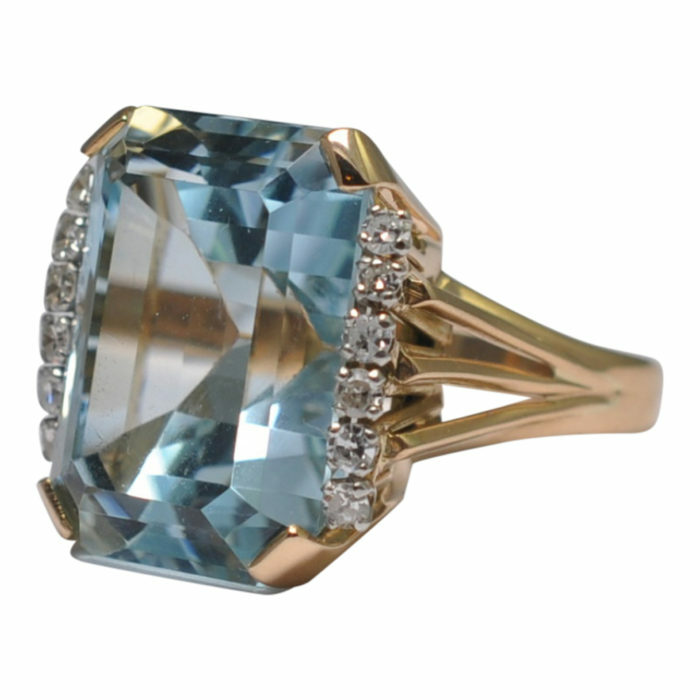 The aquamarine is a classic sea blue and is set in a handmade 18ct yellow gold mount with the shoulders splaying out to hold the diamonds. 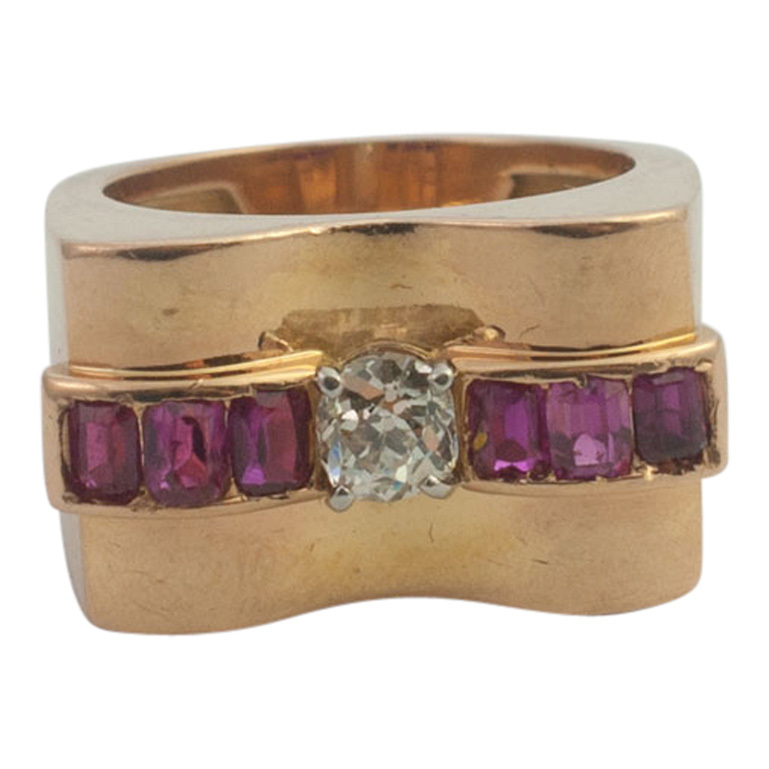 The ring is in 18ct gold with the French assay mark (Eagle’s head) and the maker’s mark for Marcel André. 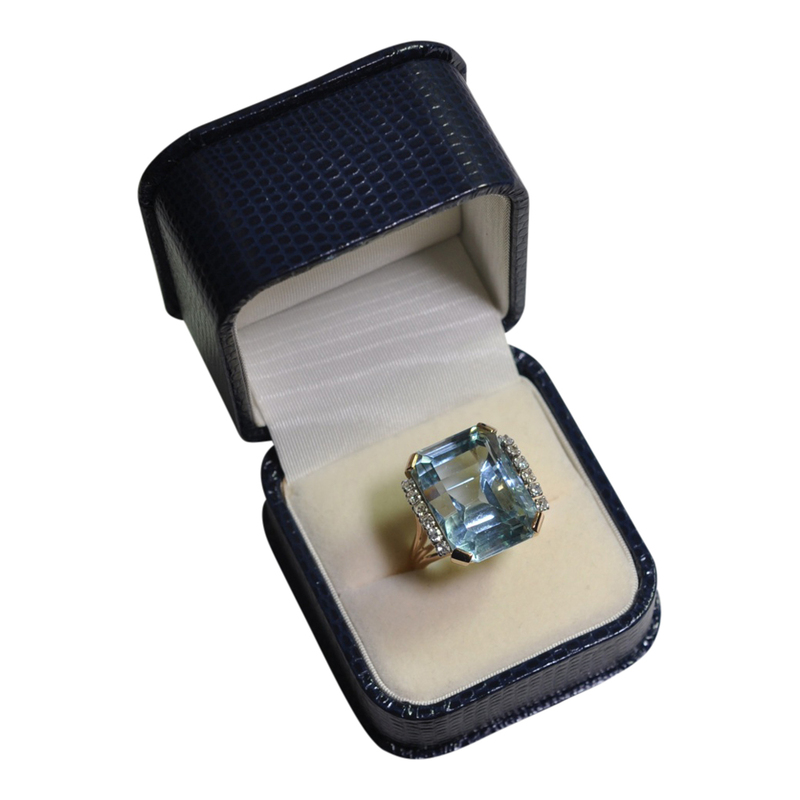 Weight 14gms; measurements 2cms length x 1.95 width x 1.20 depth. 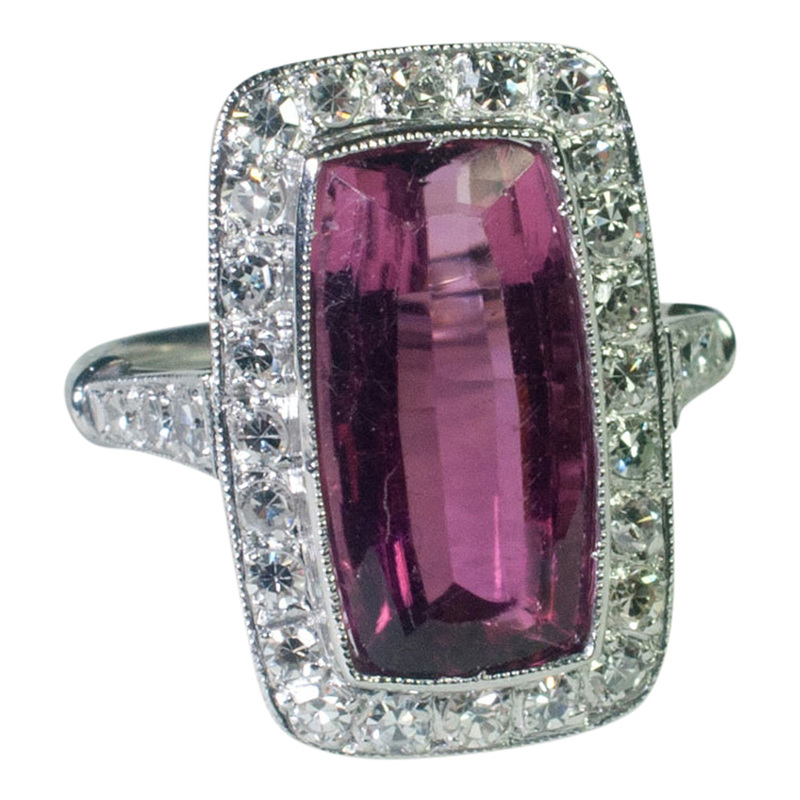 Finger size Q (UK), 8.25 (US), 58 (French) which we can re-size for you if required. 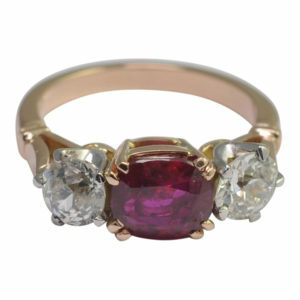 This ring dates from the 1950s and is in excellent vintage condition having been through the workshop and re-polished.